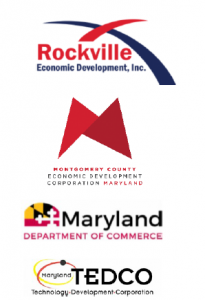 ROCKVILLE, MARYLAND, USA, March 16, 2018 /EINPresswire.com/ -- Local, County and State Economic Development professionals brought home the importance of CyberSecurity for small and medium sized businesses in a forum held at the Rockville Economic Development Incorporated offices. Network Alarm Corporation, the developer of Red Gravity CyberSecurity, helped organize the event along with Rockville Economic Development, Inc. (REDI) Montgomery County Economic Development Corporation, the State of Maryland’s Department of Commerce and the Technology Development Corporation of Maryland (TEDCO). Presenters included Bill Day, Esq. ; Markus Rauschecker, J.D. CyberSecurity Program Manager for the University of Maryland Center for Health and Homeland Security; Olin S. Green, Jr. of VariQ; Bhavesh Vadhani of CohnReznick, and Ira Kolmaister of Network Alarm Corporation. Laurie Boyer of REDI served as Master of Ceremonies and Mark Miraglia, CyberSecurity Manager of the Maryland Department of Commerce served as the Panel Moderator. Major themes of the Cyber forum, the first in a series, included the need for training as well as technology, contractual assurances, insurance, and proactive planning. While firewalls and anti-virus software are twenty years old, they’re still needed along with newer approaches like Security Information and Event Management (SIEM) and real time intrusion detection. Establishing a CyberSecurity program that meets the many state and federal regulatory requirements can help businesses protect their assets and become a more reliable business partner. "Organizations and small businesses are facing a patchwork of CyberSecurity laws, regulations, and contractual obligations which can seem pretty overwhelming," stated Markus Rauschecker. "But, implementing some easy “best-practices,” some good planning, as well as training and exercising can go a long way to addressing those legal and policy issues." In addition to your organization, your clients and your supply chain must also be protected. You’re only as strong as your weakest link and your CyberSecurity protocol requires continual scrutiny and updating. Every protocol must include physical, personnel, and real time intrusion detection for all organizations. Policy, training, contractual, and documentable proof is required to defend every link.